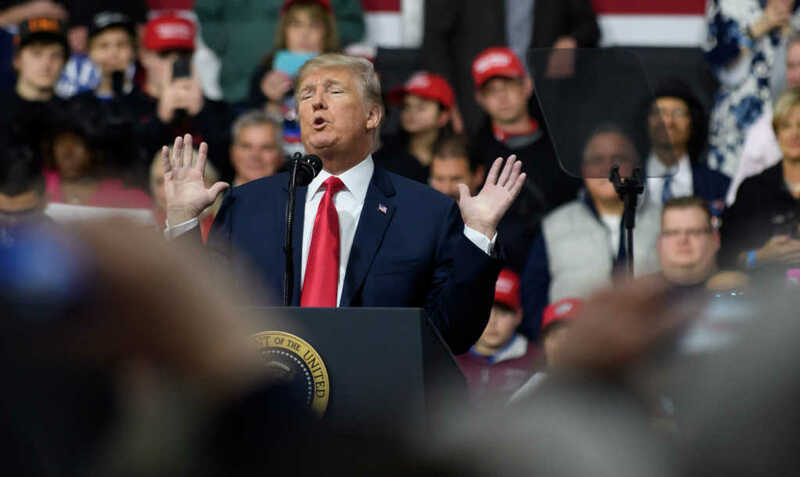 It’s no secret that President Donald Trump isn’t a fan of the mainstream media, with the commander in chief frequently going after reporters and TV hosts whom he accuses of being biased against him. But comments Trump made about “Meet the Press” host Chuck Todd on Saturday left Todd hitting back, noting that Trump’s oft-times elevated language and “vulgarities” make it harder for parents to raise their kids, The Daily Mail reported. The spat reportedly started on Saturday during a rally in Pittsburgh, Pennsylvania, when Trump called Todd “sleepy-eyes” and a “sleeping son of a b**ch.” Todd responded to the insult a few hours later during a sit-down interview with WRC-TV. With that in mind, the TV host and NBC News political director said that he believes Trump’s expletive-laden rhetoric can sometimes make it difficult for parents who are raising young kids. “Him doing that, it creates a challenge to all parents when he uses vulgarities like that,” Todd said, explaining that, during his own upbringing, his parents had a rule that he couldn’t speak negatively of a sitting president. Despite Todd’s qualms with Trump and his rhetoric, the “Meet the Press” host said that the president is still invited whenever he wants to come on the show. Regardless of where people stand on Trump, Todd makes some important points about the office of the presidency, the respect that people should show the commander in chief — and the complications that vulgarities can cause for parents teaching their children to look up to the world’s most powerful figure.